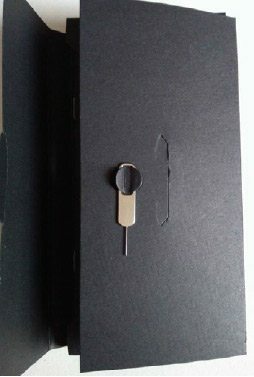 Blackphone 2 uses a nanoSIM (subscriber identity module) to join your mobile carrier’s network. If you have a microSIM or other size SIM card, you can request a nanoSIM from your mobile carrier. Blackphone 2 also supports external storage via a microSD card. A microSD card is optional, but lets you expand your device’s storage capabilities. Blackphone 2 supports microSD cards up to 128GB. When the tray pops out, lightly grasp it with your fingers and pull it out completely. Install the nanoSIM card and, if using one, the microSD card into their respective slots. Ensure that the phone is face-up on a flat surface, then gently push the tray back into the slot until it is flush with the phone’s edge. 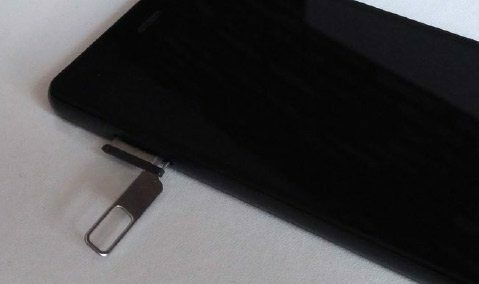 NOTE: the top of your nanoSIM (and microSD, if installing one) should be facing UP as you insert the tray back into the phone.